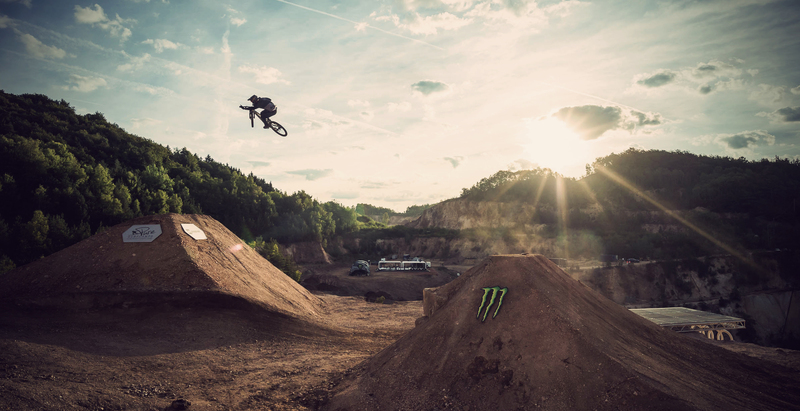 After six days of film shoots and sessions in the moonlike landscape of the quarry, the riders gathered on the evening of Thursday, September 14 to celebrate their successful “moon launch” and decide who would be crowned the champions of the event. 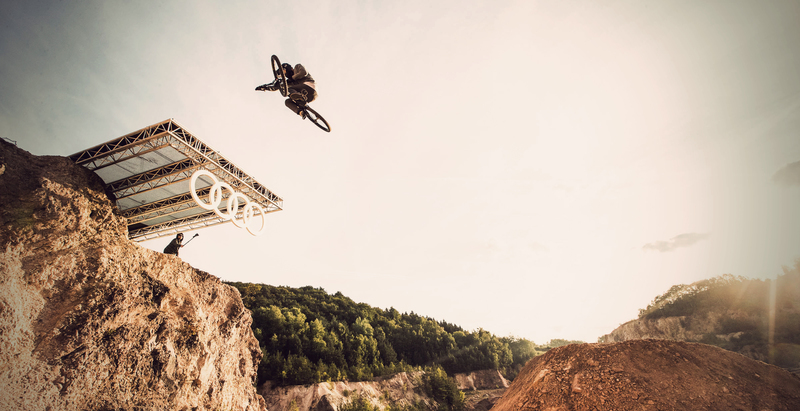 British mountain bike legend Sam Pilgrim was selected by his peers for the top honor of “Ruler of the Week”. 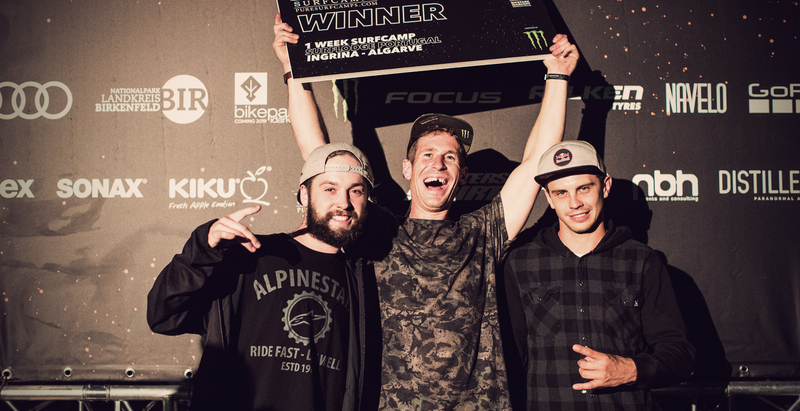 Sam was joined in the winner’s circle by his countryman Sam Reynolds, whose run through the freeride section was voted “Best Freeride Line.” Winners were also chosen in the category of “Best Freeride Trick”—claimed by Adolf Silva’s incredible Cali Roll, a world’s first on a downhill mountain bike—as well as for “Best Slopestyle Trick,” where Dawid Godziek’s quadruple tail whip—also a first—took top honors. 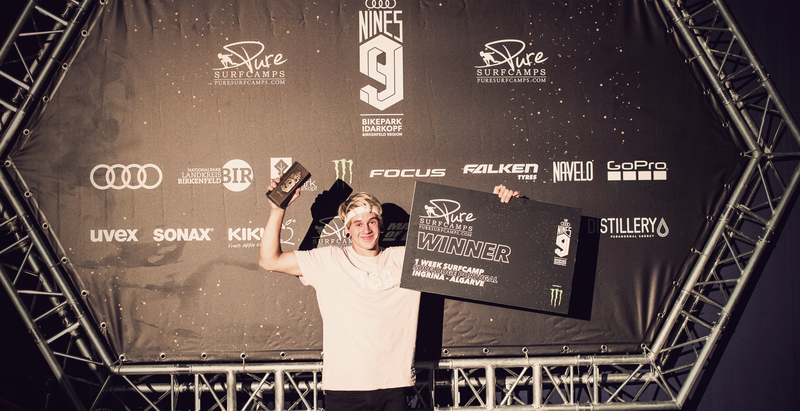 TSG ambassador Lukas Schäfer form Germany won Best Style and the Spanisch maniac Bienve Aguada got third in Best freeride Trick with a 360 Supermann Seat grab Indian Air. 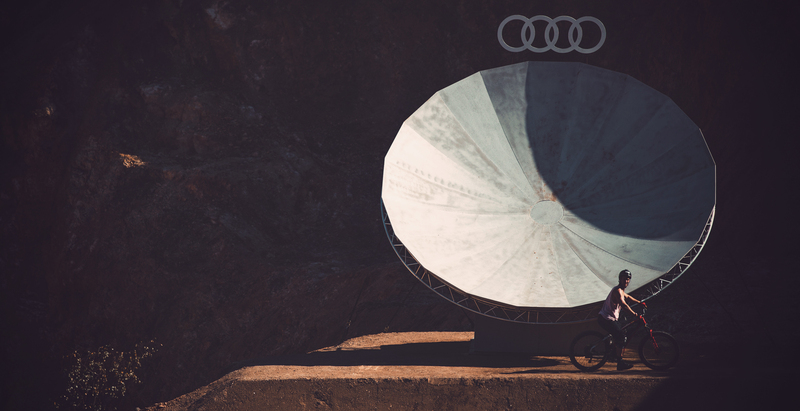 Max states that he has spent a legendary week of bangers and good times at Audi Nines. 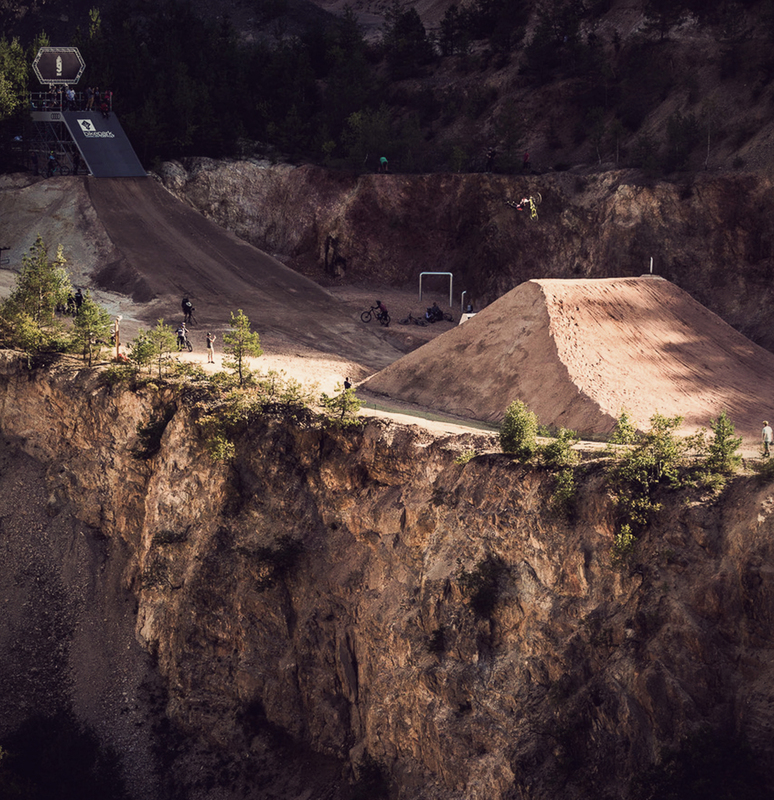 An event that all riders love, it’s basically just a week of riding together and shooting cool content while pushing our limits on the bikes. 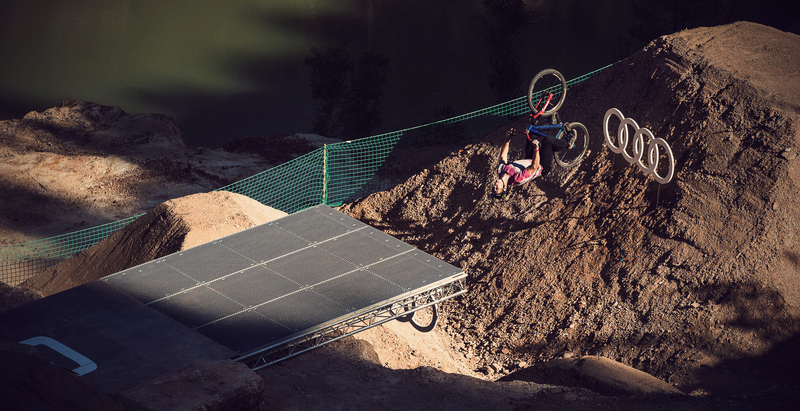 The jumps they built up for this years location was something else. They were really taking it to the next level. 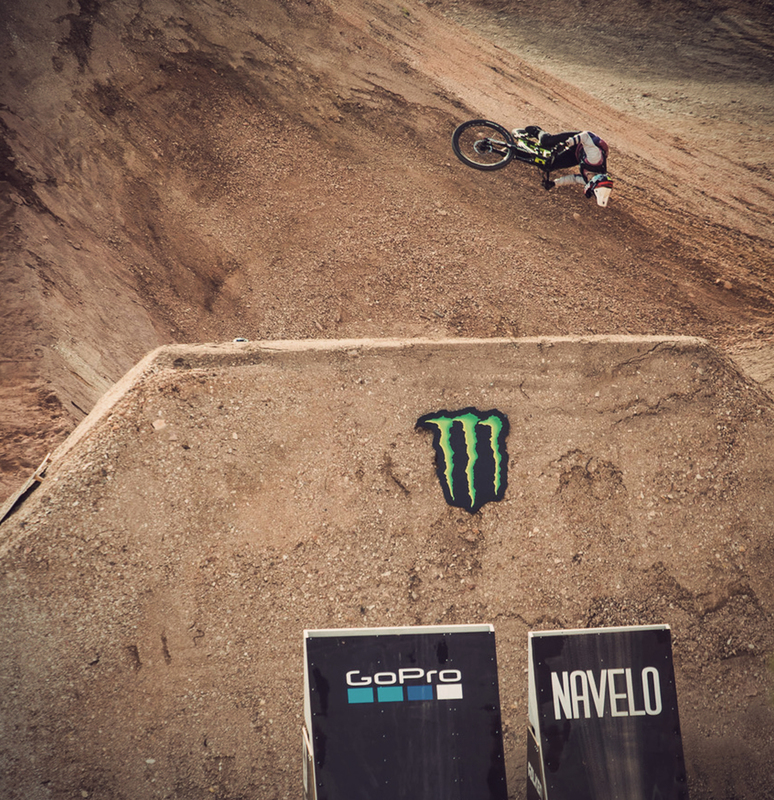 The slopestyle course was filled with creative features. 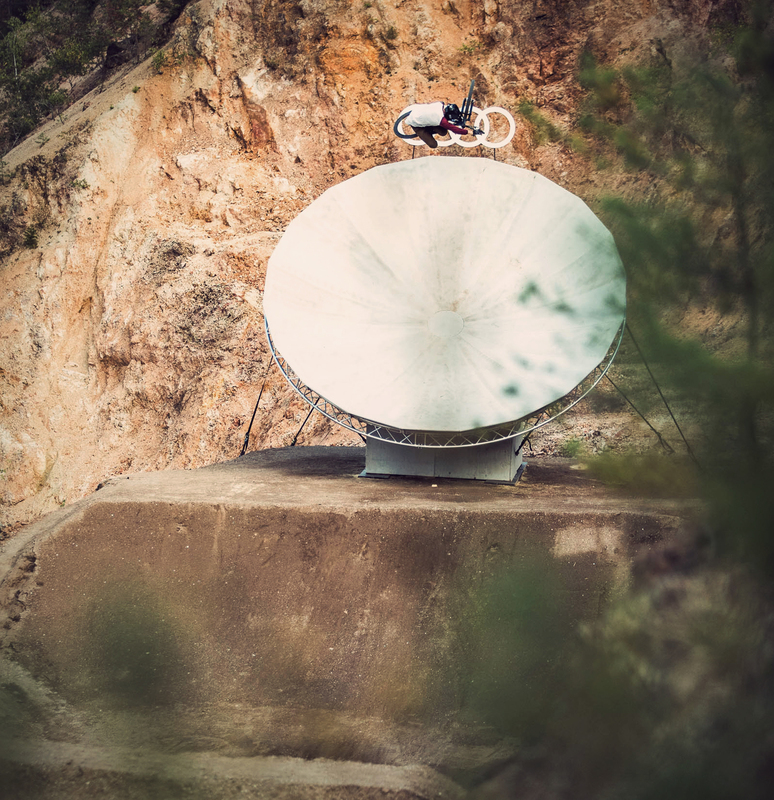 This satellite dish was one of my favourites since it was such a technical feature and the possibilities were endless. Want to know more about Max? 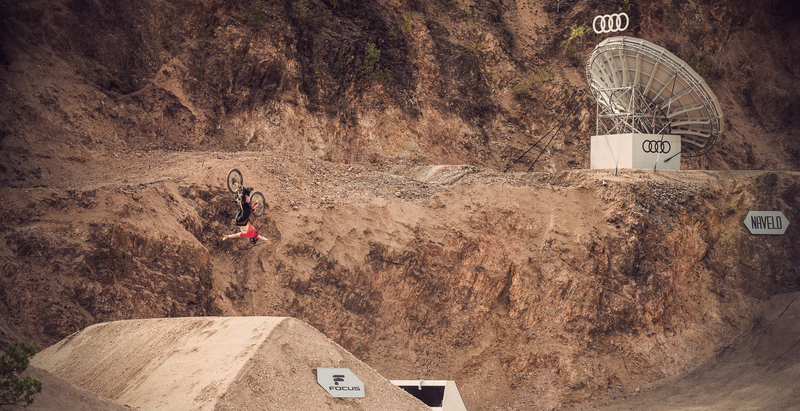 Click to visit his rider profile here! 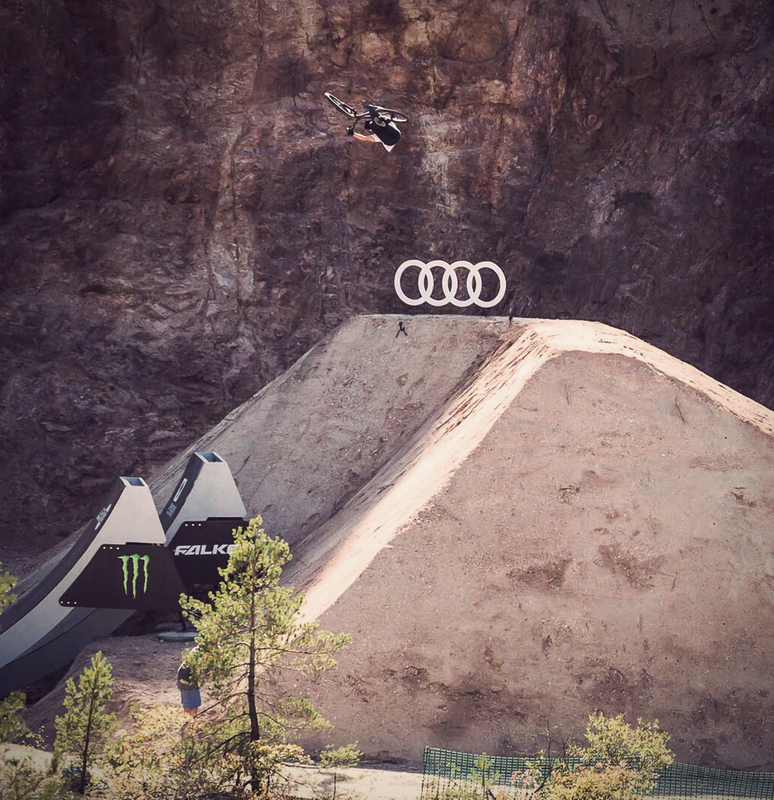 For our german ambassador Lukas the Audi Nines were just unreal. He won a wild card at an event sponsored by Audi earlier this season and boom ended up to win “Best Style”. 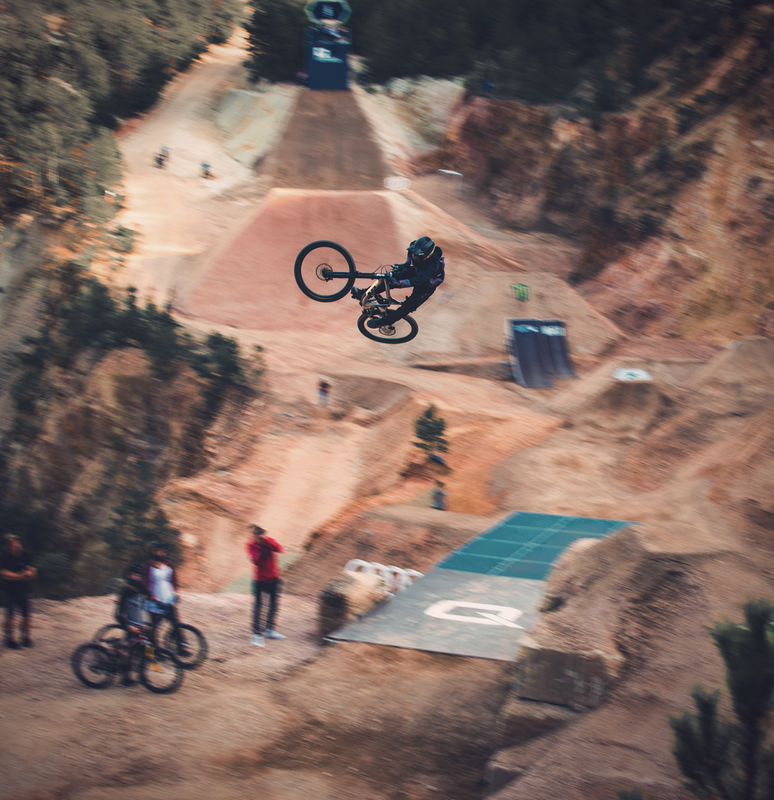 For Sam it was the best mountain bike event of the year and he is super stoked to be selected as the ruler of the week and also to have won the slopestyle line. Sam has been on the TSG team for a very long time. Visit his profile page by clicking here. When I finished my session on the other lines and saw that there was another trick session going on at the Big Air Kicker, I decided to join in. I did the jump a couple of times the day before and knew how it was going and so I only did two jumps before I decided to go for this Superman. I left the takeoff, got off the pedals and stretched out. 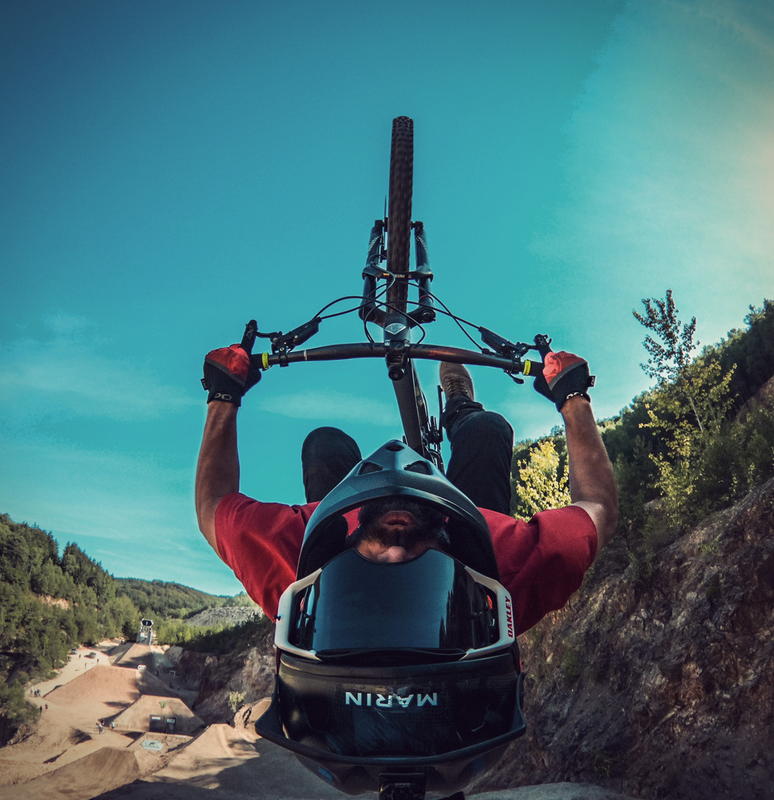 At the same time this 10m Superkicker pushed me unexpectedly higher and higher and my bike further and further away from my body, so I thought – ok, you won’t come back. In the end it worked out and the screams, as well as the video afterwards and the high fives of the riders showed me that it was probably one of the most extreme things so far. 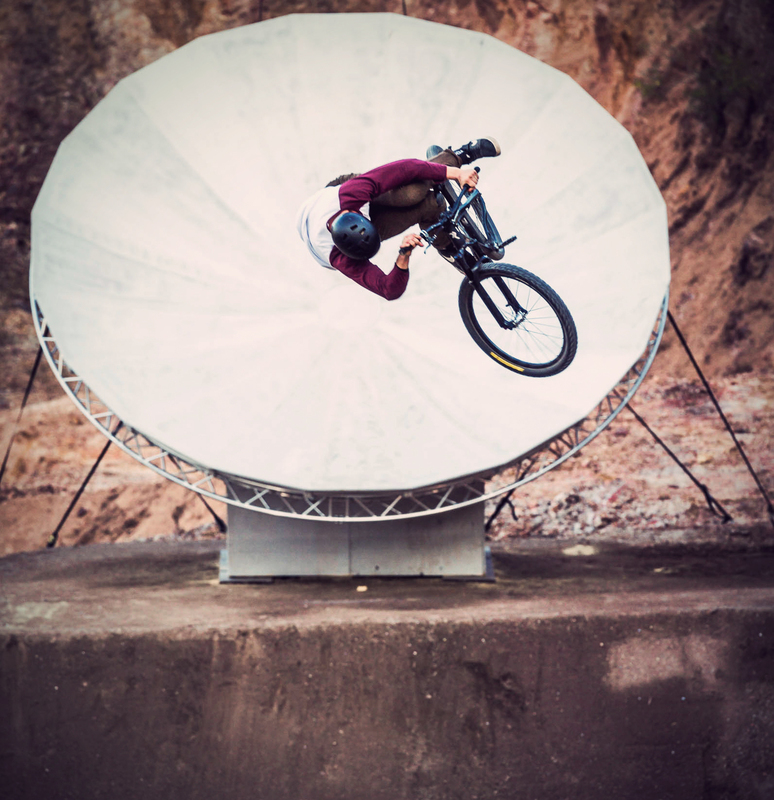 Tobi is in our ambassador team and we have just released his rider page. Check it out here. TSG ambassador Bienve has been nominated for 4 categories at the Audi Nines Gala Night. He got third at Best Freeride Trick. This picture was taken with a gopro fusion. 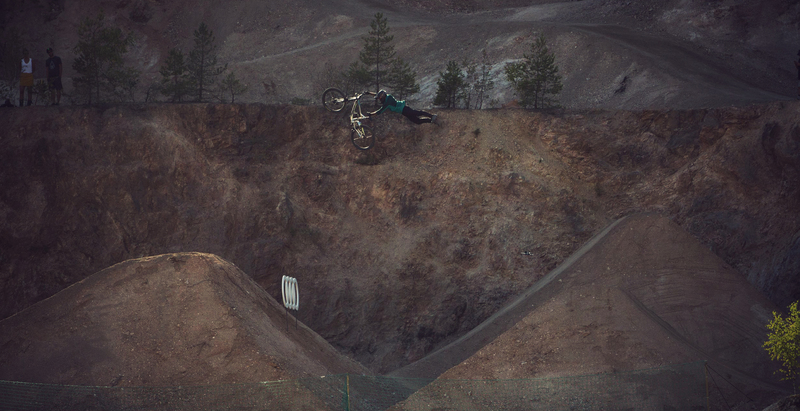 I am doing a frontflip with the dh bike at the slopestyle line with a long mount that was on my back. 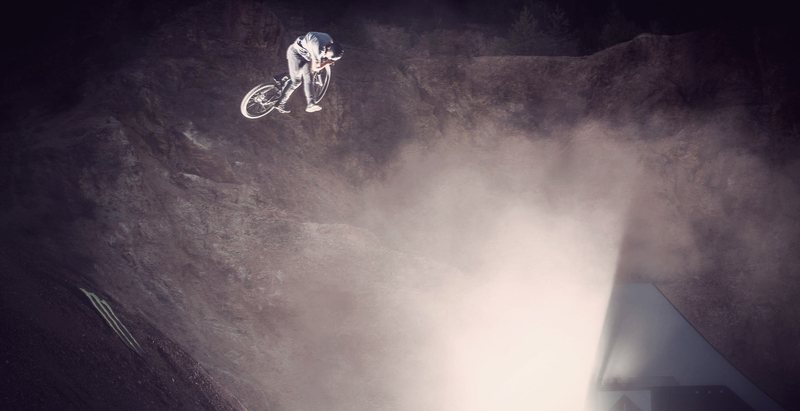 On the left photo I do a superman seatgrab with the dh bike in the big air. Photo by Flo Preuss. 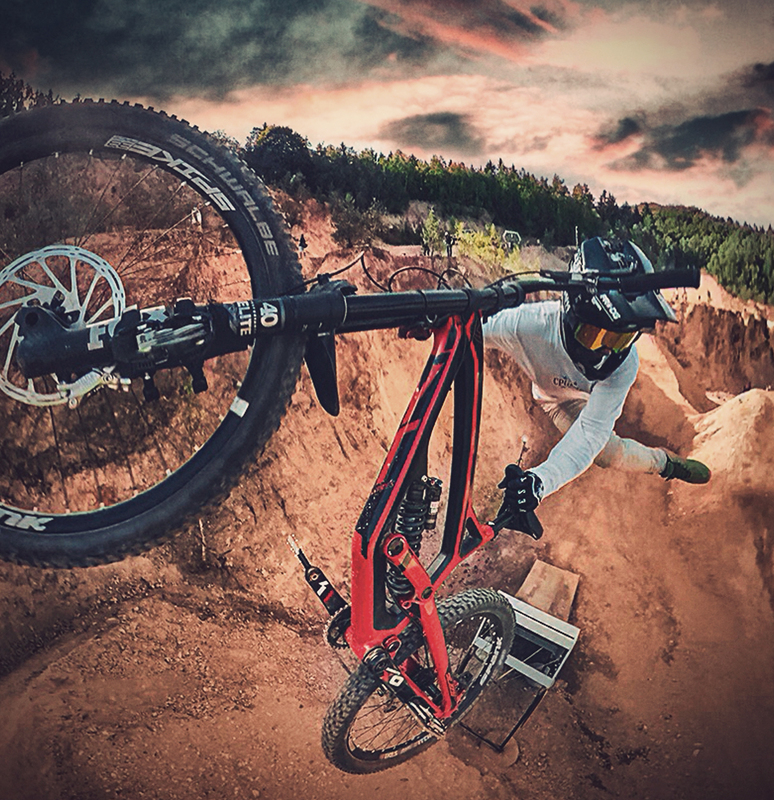 The left pic is another go pro fusion photo with a mount on the fork. 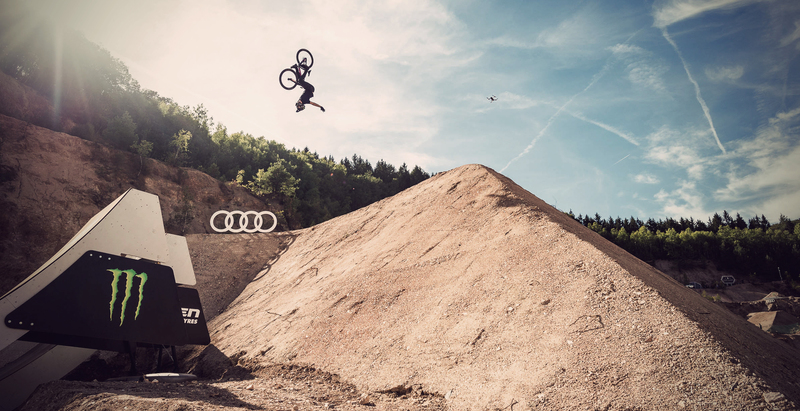 Also for Amir the Audi Nines was one of his favourite events ever. The ultimate format with a pretty much one-week jam on the sickest set up caused some unforgettable memories. He was super happy to be part of it, even though he had to leave earlier because of a wedding invite. Early morning on the hip was one of my favs. Couldn’t get enough of this airtime. 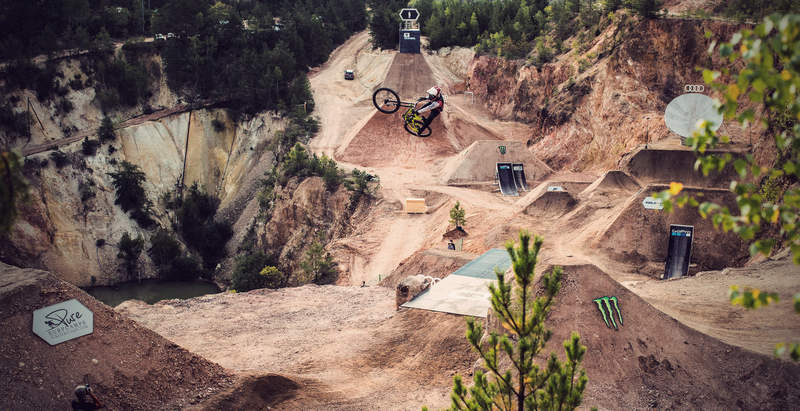 The Freeride Line started with this drop. Hitting those drops and Jumps with so much speed was something else. Table topping over the big boy on the right pic! Amir rides head-to-ankle with TSG. 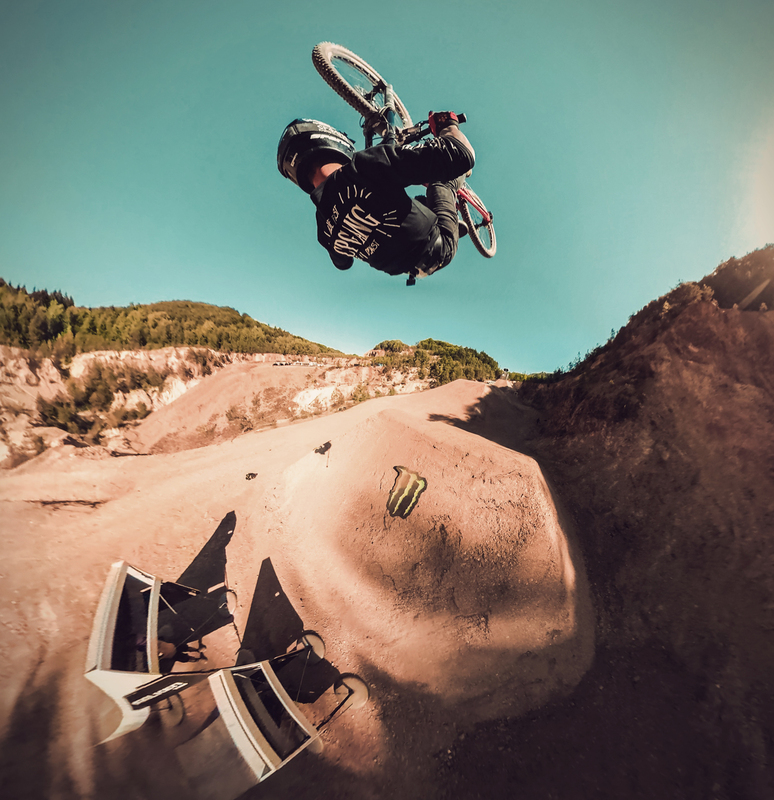 Check out his rider profile and look at the products he uses most here. 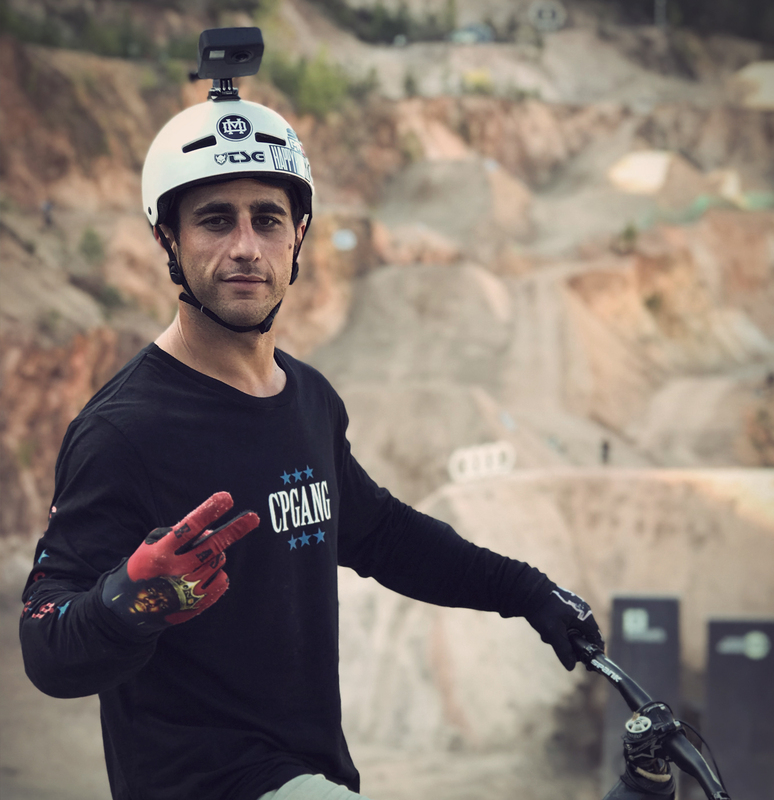 Timo couldn’t stop saying how good it felt to ride at such an amazing location for a week and have high quality footage from the best filmers and photographers . He shouts BIG props to the building crew ! That’s a piece of art to build a course like that ! BIG jumps that work and are still save and fun! Happy to be able to be still jumping those big lines with the young boys! 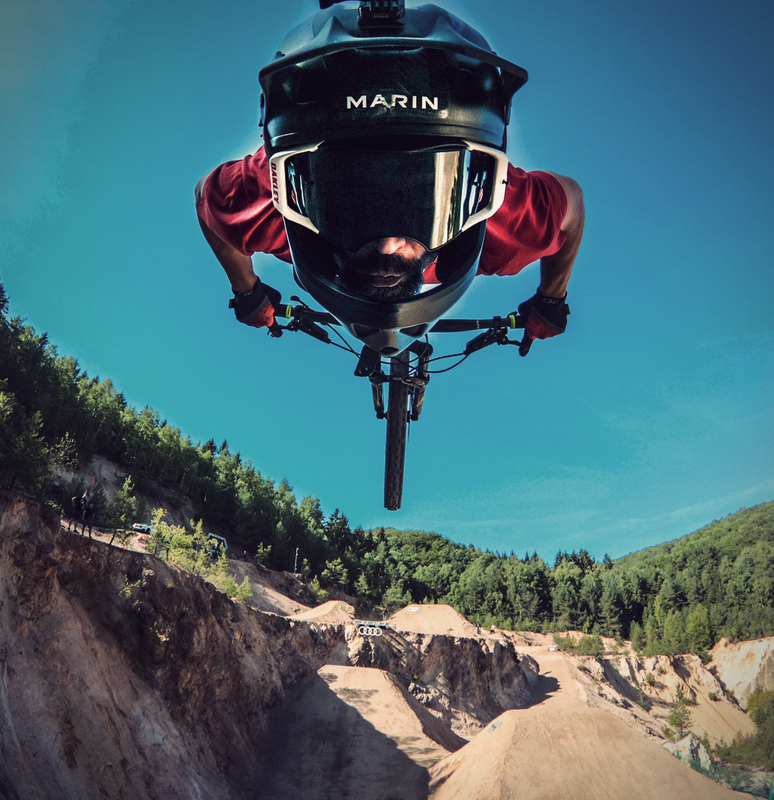 Funny but i am Just learning how to use a GoPro camera properly … I guess I am old school, Haha. So after these nice shots I am motivated to use this little thing more and produce more own content. 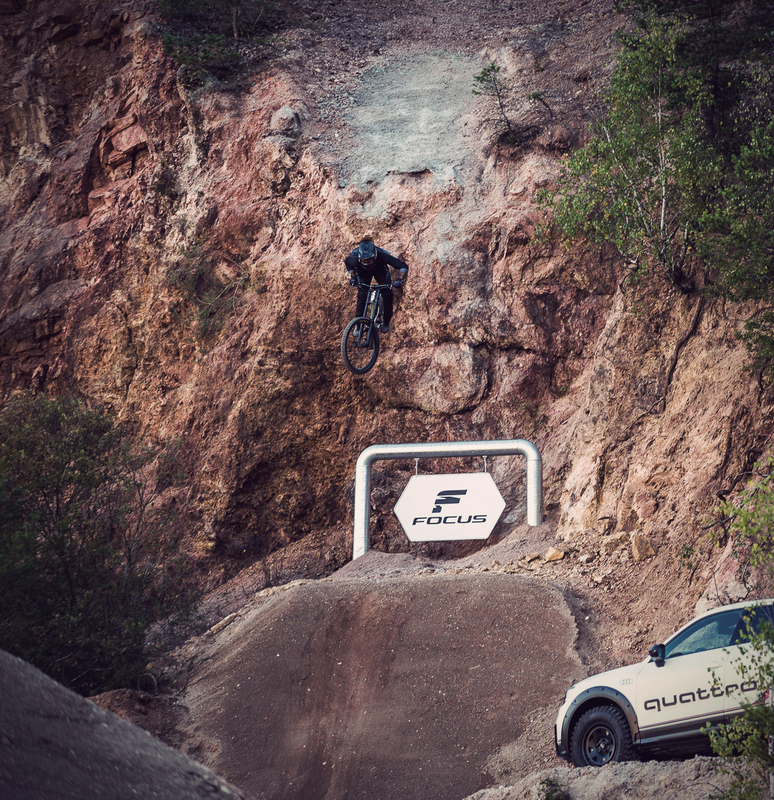 Timo is a true legend of the dirt and freeride scene and is one of the most experienced riders ever. 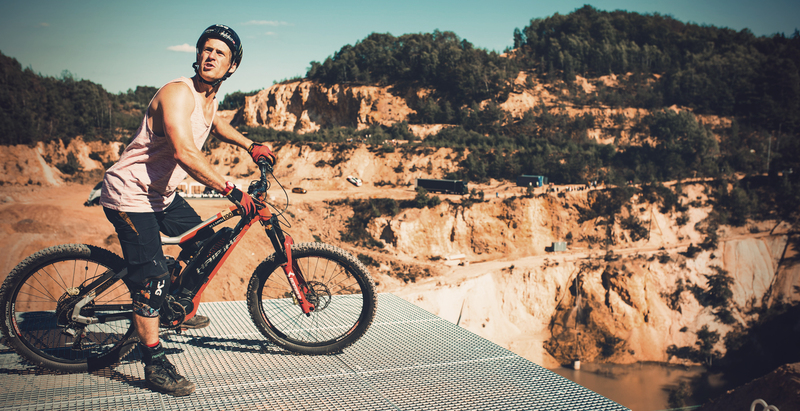 Besides biking he finds his balance with yoga and a healthy diet. Have you seen Timo’s rider’s page yet?